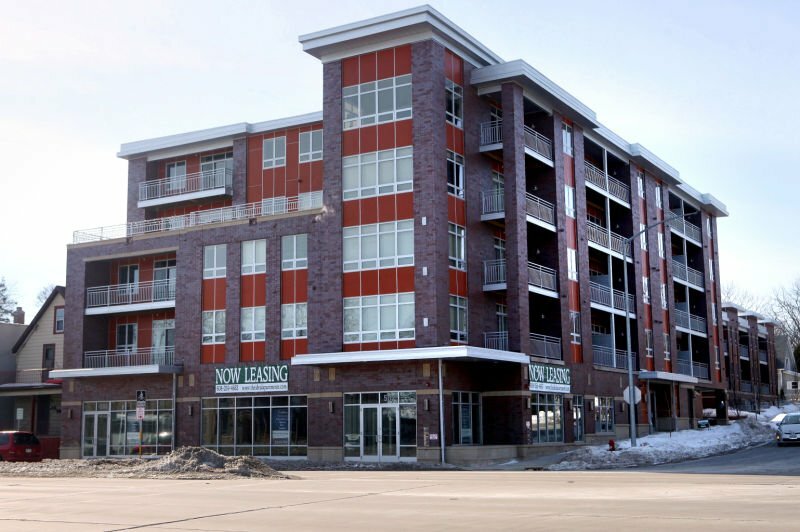 One of the newest apartment buildings in Madison is on the site of the former Ideal Body Shop at Park Street and West Washington Avenue. Since opening in December, the Ideal has rented 40 of 57 units. About one quarter of the tenants work at Epic Systems. 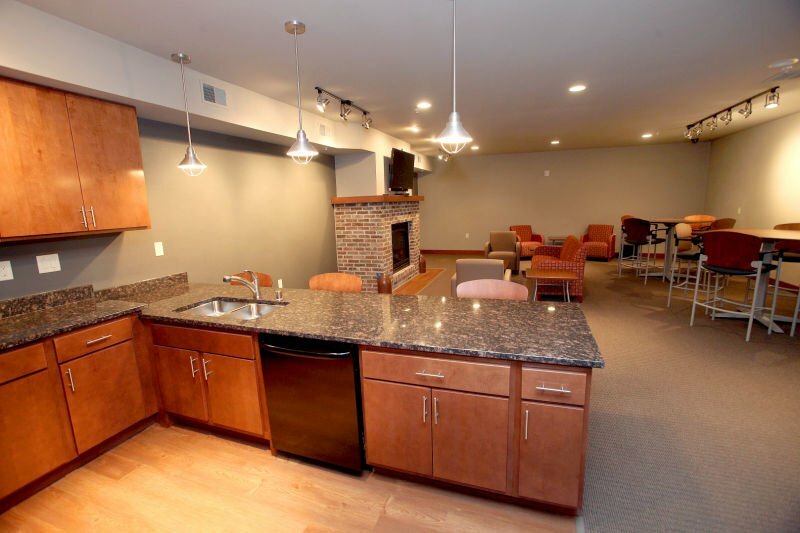 The community room includes a kitchen and a fireplace at The Ideal Apartments at 901 Drake St.
A neon clock from the Ideal Body Shop is on display at The Ideal Apartments. Neon sign from the Ideal Body Co. is on display at The Ideal Apartments. View from balcony at the The Ideal Apartments overlooking Park Street. New units, like this one at the Ideal apartments on South Park Street, offer stainless steel appliances, open floor plans and lots of counter space. A bedroom is displayed in a model apartment at The Ideal Apartments. A model apartment at The Ideal Apartments. An apartment on the fifth floor of The Ideal Apartments. Bathroom and laundry room are shown in a model apartment at The Ideal Apartments. Den in a model apartment at The Ideal Apartments. View from window of fifth floor of the Ideal Apartments looking down Park Street. The fitness room at The Ideal Apartments.